When I make the trip home to Pennsylvania, I am inevitably drawn to my late father's closet. I stick my entire face into his clothes hanging there and breathe, hoping to catch a trace of him and to feel close. I run my fingers over his button down shirts - one crisp white with a pink check, a Hawaiian print that must have been purchased for a theme party - picturing him wearing each. I remember the many times he called me over to show two possible ensembles for the day's events so I could pick which I liked better. Dad always let me know my opinion mattered to him--unless it was about what was on TV. If I didn't like what Dad was watching, I was welcome to go elsewhere, he said (and often). As a long time reader of Joanna Goddard's blog, A Cup of Jo, I had heard the tragic story of her brother-in-law's diagnosis of lung cancer and subsequent death at just 37 years old. I had already planned to read Kalanithi's book before I read Lucy's essay in the New York Times. 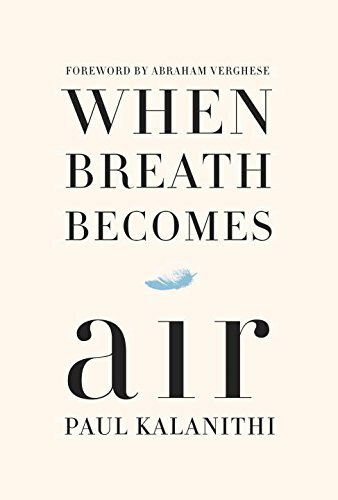 But the essay, entitled My Marriage Didn’t End When I Became a Widow, was so moving and familiar that I had to share so that you might read When Breath Becomes Air too. This excerpt in particular has stuck with me. I have talked about various elements of grieving in the six months since my Mom and I lost wonderful sweet Dad. For me, the days have become a little easier. I no longer cry daily, for example. But acknowledging that brings on a wave of a different, even deeper pain plus some guilt. My life has irrevocably changed and even with all I have learned from this process, I have no idea what's next. I also have no idea how to end this post.